A father’s heartbreaking account of coping with his son’s untimely demise, as his son was undergoing National Service nearly two decades ago, has resurfaced online after the latest training death of Corporal First Class (National Service) [CFC (NS)] Pang Wei Chong, Aloysius, last week. CFC (NS) Pang’s untimely passing was the fourth training death of Singapore sons in the past one and a half years. As the nation mourns his loss, retiree Lawrence Loh’s account of coping after the loss of his son in another training accident has resurfaced on social media. 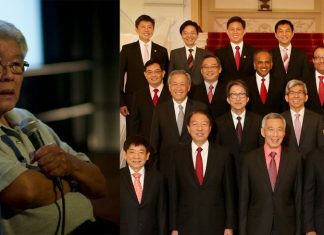 In February 2001, Lawrence’s son – full-time National Serviceman Daryl Loh – died in a freak accident at Changi Naval Base when he fell into the sea. 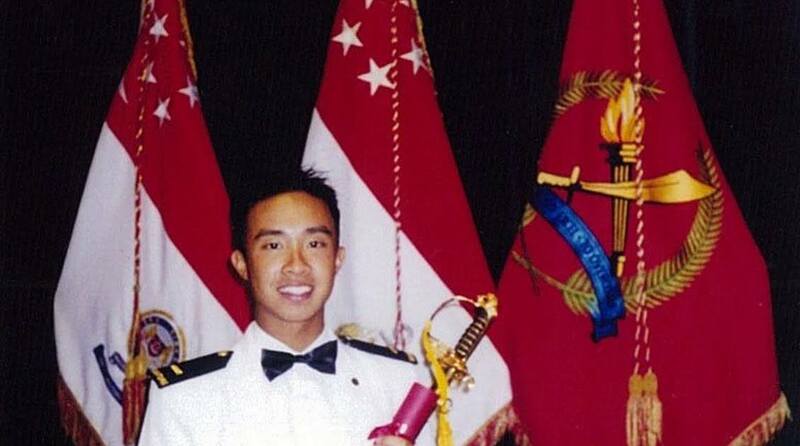 “WHEN I read stories of SAF (Singapore Armed Forces) deaths, I will think of my son Daryl. He died in a naval accident in February 2001. “We’re now in 2009. We have moved on, but memories of my family’s ordeal remain as fresh as the day the accident took place. “Ministry of Defence (MINDEF) and SAF personnel will never know the anguish that families who have lost their loved ones have to endure whenever we read about a training death. People in charge of handling training accidents must know that many more families will feel the hurt and the pain, other than those of the next-of-kin of the latest accident that makes the news. “I don’t believe in grieving alone which is why I’m sharing our experience. It is a form of emotional release. “The 26th of February 2001 was the day my life turned upside down. “It was a Monday and I was walking back after lunch to my office at Paragon Shopping Centre when my wife called at around 2pm. She said Daryl had fallen into the sea. “It came as a shock and she had to repeat the Navy officer’s telephone number three times before I got it down. “I called the officer and learnt that Daryl had fallen into the sea 40 minutes earlier. Naval divers were looking for him. “I was in a daze and went back to work. “My wife called me and asked me to go home immediately. That’s when the seriousness of the news sank in. “At home, the wait for the Navy’s call seemed like an eternity. “The Navy called me back around 3:30pm asking me to go to Changi General Hospital. I was in no position to drive, so my sister-in-law drove us there. “When I peeked into the resuscitation room, I saw the doctors pumping away trying to revive Daryl. At around 4pm, I identified his body. “His body was placed on a gurney, covered with a blanket and with only his face exposed. He looked like he was asleep. My wife and I were devastated and we couldn’t eat for several days. “We had to decide whether the wake would stretch for three or five days. We decided on five because Daryl’s friends were overseas and his girlfriend was in Cornell. They needed time to fly back to Singapore. “The next day, I was anxious to see what The Straits Times had written about the accident. It was a very moving article. “My mind was in a daze. On Tuesday, friends said I had not placed an obituary and helped to arrange for one in the newspaper. I took a day to write the obituary for Daryl. I had always thought he would be writing my obituary. “You know, we may be Catholics but we’re still Chinese and the Chinese believe parents should not send off their children at funerals. I said we must be there for Daryl, so we all went to his funeral. “The real pain came after the funeral and I was on an emotional roller-coaster. “During the grieving period, every trigger point brings a flood of memories. “I remember our last dinner at the Island Club where Daryl ordered a club sandwich. It was our last meal together and I still keep the receipt. For a year, my wife refused to return to the club as that’s where we last saw him alive. “It took me about six months to get over the intense grieving. My wife took about a year. “I wrote to Dr Tony Tan (then Deputy Prime Minister and Minister for Defence) to request an exemption for my second son Clarence. MINDEF said the Enlistment Act did not permit this, but offered to downgrade him to a non-combat vocation. You know, before Daryl’s accident, I actually wanted to put Clarence through a rigorous regime as I felt it would be good for him. “Lui Tuck Yew (Rear Admiral, then Chief of Navy) offered to place Clarence in the Navy so the Navy could look after him. I took up his offer. “Admiral Lui visited my family regularly during the wake and for many years after the funeral. Rear Admiral Tan Kai Hoe also provided much needed emotional support, for which we are grateful. “It has never occurred to me to close up. I’ve kept all the obituaries, friends’ emails, SMSes, condolence cards and stories from newspapers in a file.